Probably the best known of all the book towns, and credited with inventing the concept, Hay-on-Wye is home to numerous book and antiques shops. It hosts the Hay Festival in May and June, a literary event that travels to other cities throughout the year. A working book museum will also be opening later in 2018. Located next to the North Korean border, this literal city of books was built to symbolize the importance of the common good. There are almost no businesses in Paju that aren’t book related; the town is packed with bookstores, book cafes, publishers, printers, and a massive library that includes an on-site hotel. Most books are in Korean, but you can also find some in Japanese and English. There’s an annual book festival in September, as well as a children’s book festival in May. One of the newer book towns, Featherston already has a yearly book fair (featuring a fish ‘n’ chip supper), held in May. The event attracts local secondhand and antiquarian booksellers, and the entire town gets involved with shops setting up special displays and art installations. Located in the Catskills (New York), Hobart was essentially a ghost town not too long ago. Now it’s a dedicated book town with five stores featuring books on topics ranging from African American history and feminism to vintage cookbooks. Massive book sales are held on Memorial Day and Thanksgiving weekends, and Hobart also hosts their Festival of Women Writers every September. These are just a few of the 40-ish book towns that exist around the world (although most seem to be in Europe, hopefully this concept will catch on elsewhere *cough*Canada*cough*). You can find out about more book towns here and here. Myth and magic collide in this story about choices, transformation, and retribution. Available at Smashwords, Barnes & Noble, iBooks, !ndigo, and other online book retailers. My novel Love Lies Bleeding is also available in paperback and Kindle at Amazon, Barnes and Noble, and other book retailers. 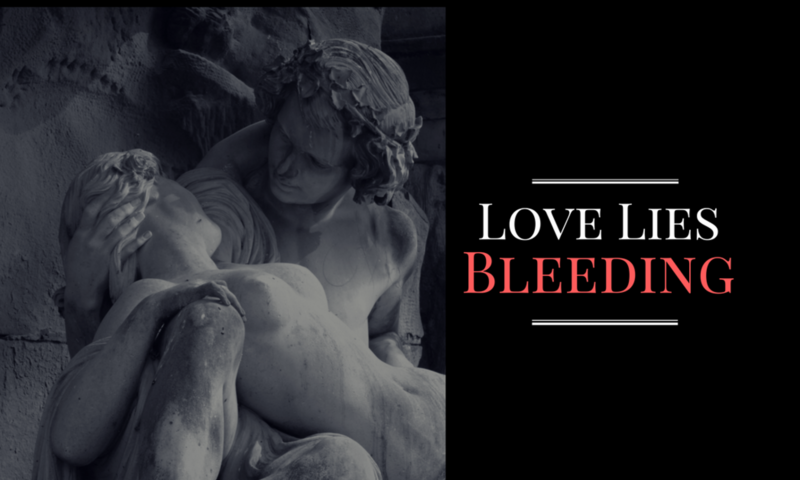 Love Lies Bleeding: a novel about delusion, obsession, and blood. Find out more here. From the smallest neighbourhood library to the mega-libraries some cities have built, libraries are amazing places. They’re community hubs, bastions of knowledge (the librarians, as well as the books), respites from the chaos of everyday life, and as Doris Lessing said, “the most democratic of institutions.” There are people who argue that libraries are pointless in this digital age, a waste of resources for cash-strapped municipalities. Those people are wrong (I’m also willing to bet they haven’t been to a library in the last decade, and probably also brag they’re “too busy” to read). If you cringe when you think about the destruction of the original Library of Alexandria, then you can take some comfort in knowing that Egypt has built a new library, the Bibliotheca Alexandrina, with help from around the globe. Besides a massive (about 5 million volumes) book collection (including rare manuscripts), the Bibliotheca also hosts an international book fair, holds art exhibitions, and has four museums. Tours are offered in Arabic, English, French, and Spanish. Find out more. This library in Vienna is a work of art on its own, featuring marble statues, columns, and frescoes. It boasts an impressive collection of archives, including a map department with 295,000 sheet maps, 700 globes, 100 reliefs and models of castles, and more. It also has its own museums, including the Papyrus Museum and the Esperanto Museum. Not surprisingly, they offer guided tours. Find out more. Another stunning library, the Real Gabinete Português de Leitura in Rio was recently renovated and restored. The collection features Portuguese and Brazilian literature, but this library is worth a visit just to admire the beauty of the surroundings. Find out more (in Portuguese) here. Local pride insists that I can’t make a list of extraordinary libraries without including the Toronto Reference Library. There’s good reason to include it, though. The Reference Library not only offers an impressive collection of books in multiple languages, it also features a Canadian Literature Collection, Arthur Conan Doyle collection, a book printing service (indie authors take note), an art gallery, and even two electric pianos for all your practicing needs. Find out more. Described as a “city of books,” the Biblioteca Vasconcelos in Mexico City was designed to help you get lost among the stacks. The library is actually five libraries in one, with collections based on five famous Mexican intellectuals. Although the Biblioteca misses the mark in a major way by including only men as its five inspirations, the library itself is a book-lover’s dream. It also features art throughout, a music collection, guided tours, and 26,000 sq metres (6.4 acres) of gardens. Learn more here. Canada’s Library of Parliament in Ottawa is a beautiful space with an amazing collection. Or so I’ve heard, since it’s open only to Parliamentarians. Not only is the library closed to the public, but they don’t even offer tours. I think it’s time that changed, don’t you? Read more here.